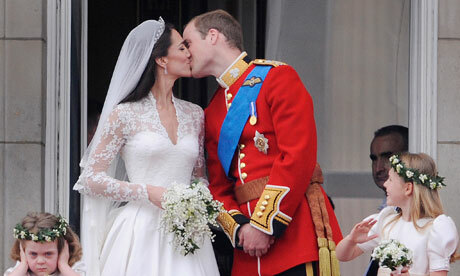 LONDON, U.K -- Straight out of the pages of a fairy tale, and painstakingly planned to be that way, Catherine “Kate” Middleton wed Prince William at the Westminster Abbey altar Friday morning. With William second in the line of succession to 16 sovereign states within the Commonwealth, the marriage was seen by the Royal Family as imperative to preserving the bloodline and The Crown. But the union, despite the flawless execution of the nuptials, was not without its internal controversies. The foremost being the Queen’s displeasure with William’s choice of a commoner as a bride. Kate Middleton is the college educated, upper middle class daughter of entrepreneurial parents who left their jobs as flight attendants to begin a party supply company that now boasts an estimated worth of $50 million USD. To contextualize how the British see the Middletons’ class standing from a U.S. perspective, Kate Middleton would be a girl from Oklahoma whose parents worked in a gas station, made some money selling Amway or Mary Kay, and then moved to a suburb in Virgina. According to Andrew, the Queen reluctantly blessed the marriage in an attempt to promote a modern image of the monarchy and, more importantly, to ensure that future Royals would retain the White Anglo Saxon Protestant heritage essential to maintaining the majesty, growth, and evolution of England as a progressive world power for coming generations. During his education at St. Andrews, William left the country to spend parts of a gap year in Chile, Belize, and Africa. With the marriage finalized and the honeymoon under way, Andrew says the Queen has expressed tremendous relief.